Italy - As landings of rescued migrants surge in Southern Italy, IOM teams continue to gather evidence of at least 400 presumed fatalities earlier this week. “While the number of arrivals this year is similar to that registered during the same period in 2014, so many arrivals is so few days is unprecedented,” said Federico Soda, Director of the IOM Coordination Office for the Mediterranean. 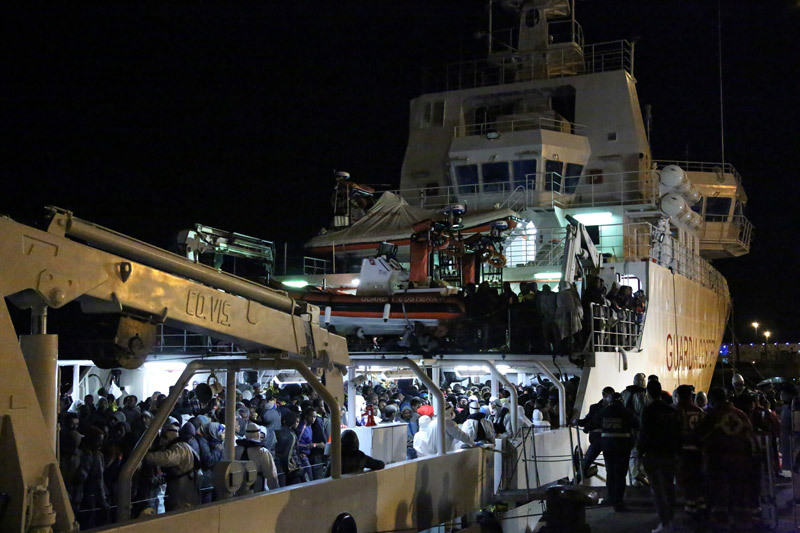 Italian maritime forces carried out rescue operation of migrants in distress on the Mediterranean Sea throughout Thursday with landings recorded at the ports of Augusta and Trapani, where Italian authorities brought 600 and 580 migrants, respectively. As of Thursday 16 April, the Italian Coast Guard, the Italian Navy and several commercial ships had come to the rescue of approximately 10,000 migrants in the six days since Friday 10 April; as of Friday, 17 April, the total number of migrants reaching the Italian coasts is 21,191 since 1 January 2015, according to IOM’s estimate. However that does not include other search and rescue operations carried out yesterday and last night, whose survivors are expected to land in Italy later today. This week IOM reported around 400 migrants lost their lives at sea when a wooden fishing boat carrying about 550 people capsized. It is reported by survivors of the shipwreck that men on deck became restless and started moving about when they saw a rescue boat approaching them. An estimated third of the passengers on board were women and children who, at the moment of the shipwreck, were staying in the hull of the boat to be better protected from the cold. When the boat capsized, the hull was flooded with water and it is presumed that they all died. Additionally, it has been reported that a fight broke out on one of the boats rescued some days ago (whose passengers reached Palermo on Wednesday) and 3 Nigerians and 6 Ghanaians were thrown overboard. The incident was brought to the notice of the local police, who arrested 15 individuals. 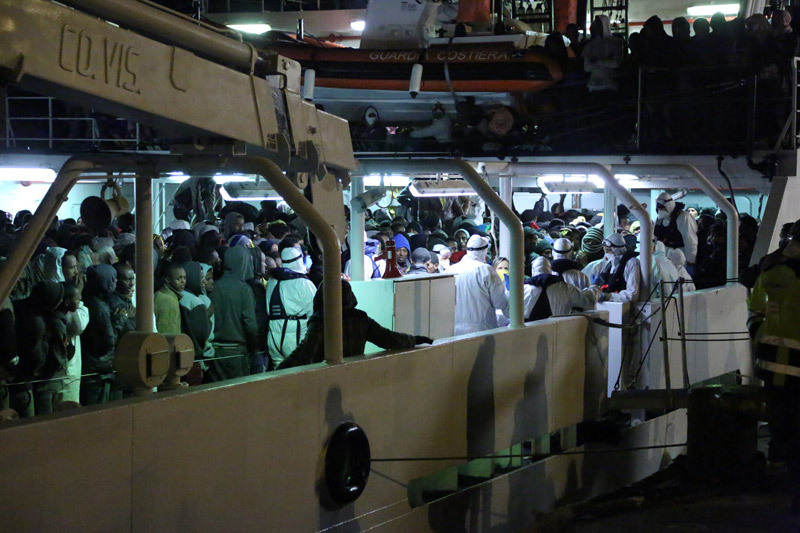 IOM has learned that the four were found floating in the sea, spotted by a helicopter, and were then rescued by an Italian naval vessel – the Foscari. They left Tripoli on Saturday and had been adrift for four days.